Learn how to cook taho, one of the most popular and well-loved street desserts in the country, and make a small business selling it. <> Taho is a very popular street food in the country. 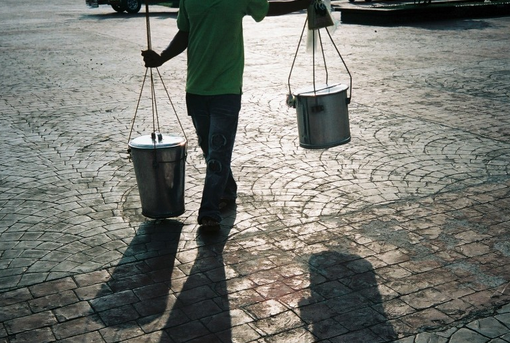 It is usually sold by taho vendors or hawkers in your street during specific times of the day (usually early mornings). As we all know, it is made of white bean curd or silken tofu. What makes it more interesting (and delightful to the taste buds) is how it is served as a concoction comprised of caramel syrup and tiny sized tapioca pearls or small sago. Without any doubt, taho can easily be considered as Filipinos’ staple, quick, and cheap comfort food. These days, don’t be surprised if taho can be found and ordered in certain restaurants and even in special food stalls in malls and food courts. Some taho vendors are also getting more creative by altering or adding flavors to their caramel syrup. It is possible to find taho with strawberry, jackfruit, or buko pandan syrups, to the delight of more foodies. Do you want to try making and selling your own taho? Here’s a simple recipe that can make about 2 kilos of it, which can be sold within a day or can be stored for about a week. 1. Wash the good soybeans (newly harvested, spotless, and smooth). Soak the beans overnight, or at least 6 hours. 2. After soaking, wash the soybeans again. By this time, those must have expanded up to three times their original size. 3. Remove the soybeans from water and peel the hulls. 4. Make a puree by smashing the soaked soybeans or using a blender to do so. Put the resulting puree into a bowl and pour water gradually (about 1.5 liters). 5. Using cheesecloth, filter your soybeans puree to produce soymilk. 6. Start cooking your gelatin bars in boiling water. 7. In another pot, cook the soymilk in low fire. After about 10 minutes (at an ideal temperature of 80°C), let the soymilk boil for about 7 minutes or until the bean flavor disappears. 8. Combine the soymilk and gelatin while the soymilk is still boiling. Remove the froth formed on top of the mixture. 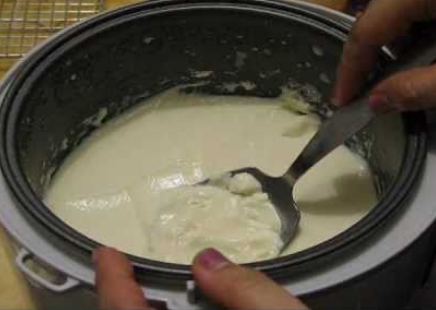 When the froth is completely removed, remove the pot of soymilk from the stove and set aside to let it cool. 9. Strain the soymilk and gelatin mixture using cheesecloth. Pour the strained mixture into a mold. Let it cool down for about an hour. 10. While waiting, cook sago or tapioca pearls (in boiling water until it gets semi-transparent and soft) and set aside. 11. Cook your caramel syrup (or arnibal) by dissolving 250 grams of brown sugar in 200 ml of boiling water. Add vanilla extract. 12. You can now serve it. 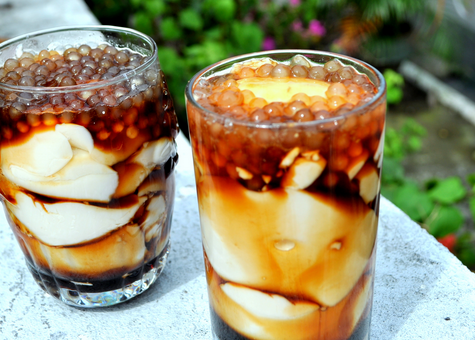 Put a scoop or two of caramel syrup and sago for every small glass of taho.